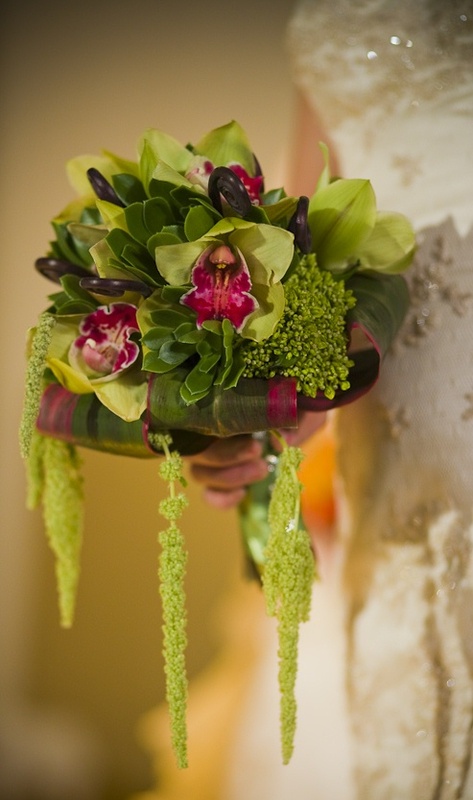 For most brides, the biggest floral decision is selecting their bouquet. White or colorful? Garden style or exotic? Traditional or trendy? 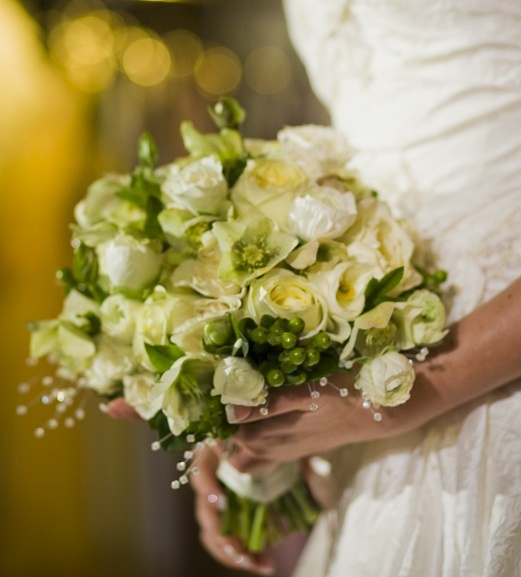 Luckily there is no “right” answer, because the bouquet should add the final touch to the bride’s look for the day, and so it’s all about reflecting her personal style and taste in the choice of her flowers. Being creative is what it’s all about, and today’s bride loves to be original! 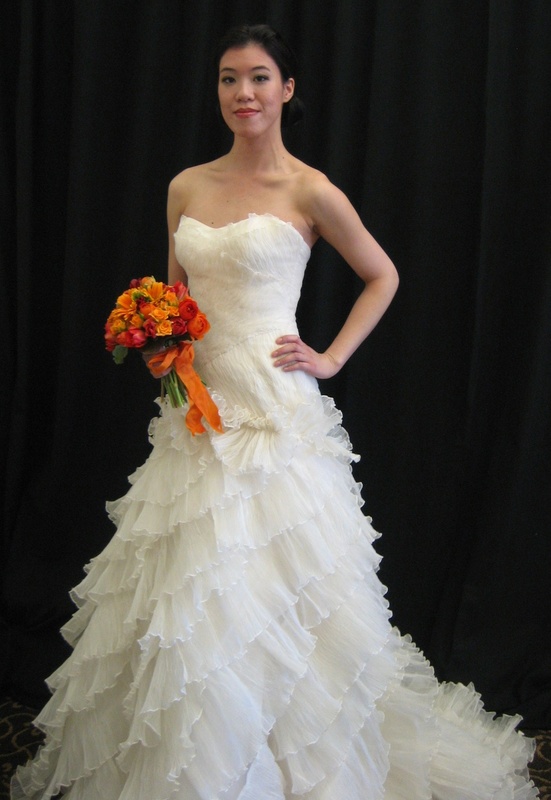 Bright color is definitely something brides are more open to than in years past. A pop of color against a white dress is dramatic and lively — and photographs so well! Colors like champagne, mocha and sage green continue to be in fashion for the bridesmaids because they flatter so many figure types and skin tones. 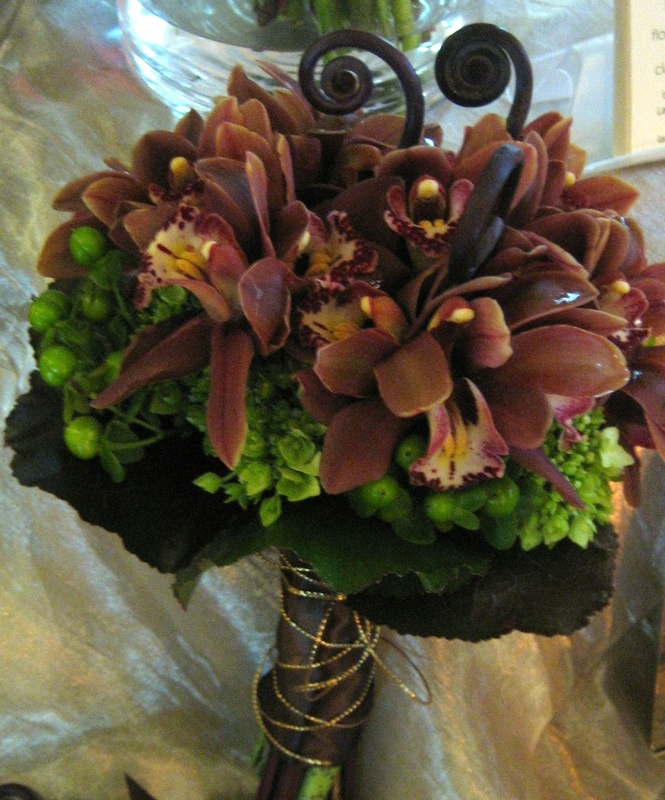 Chocolate is a fun accent, and the use of exotic materials like orchids and the crazy fern fronds adds a contemporary twist. As with the bouquet chosen by Kate Middleton, white-on-white is a wonderful timeless option – especially when updated with more garden-style and organic elements. Roses are lovely, but the addition of texture and depth with more unusual blooms like ranunculus, helibore and hyacinth blooms gives even more character to the finished bouquet. Embellishment is the thing with modern bouquets: pearls, crystal sprays, cameos and costume jewelry are turning up on the handle and worked into the bouquet itself. Feathers are a wonderful accent, adding texture and movement, and white ostrich feathers are making a comeback to add a very 1930’s feeling to bouquets and centerpieces. The Bay Area has always had a great love for tropical flowers and exotic styling, due to our proximity to Hawaii and Asia. Working with exotics in a bridal setting gives a fresh, contemporary feeling which appeals to the sophisticated taste of today’s bride.